Representatives from the New York Bar Foundation will present the second installment of a $250,000 grant to the Entrepreneurship Bootcamp for Veterans with Disabilities (EBV) at Syracuse University on Friday, April 13. The grant monies enable 35 additional veterans to attend the EBV program free of charge, and are being used to further develop program curriculum and measurement. Founded in 2007 at SU’s Whitman School of Management, the EBV is operated under the auspices of the University’s Institute for Veterans and Military Families (IVMF). The EBV offers cutting-edge, experiential training in entrepreneurship and small business management to post-9/11 military veterans with service-connected disabilities. A national consortium was formed in 2008, and the EBV is now offered at eight leading business and hospitality schools across the country. As part of the April 13 event, 2011 EBV-SU graduate Shannon Meehan of Philadelphia will speak about his experience in the EBV and as a vet launching a small business. A former U.S. Army Captain, Meehan is medically retired as a result of injuries sustained in an IED strike while serving during Operation Iraqi Freedom. 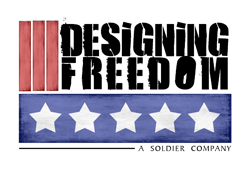 Meehan, who waited more than seven months to get into the EBV, is working on his startup, Designing Freedom LLC, which specializes in embroidering logos using military camouflage patterns onto T-shirts and apparel. He is currently working on securing licensing agreements that will enable the company to use trademarked logos (such as sports teams) on its products. Funding for the EBV grant from the New York Bar Foundation was received by the foundation under a signed order by U.S. District Court for the Southern District of New York Chief Judge Loretta A. Preska. The order approved a plan submitted by class counsel and the foundation for a distribution of residual class action settlement funds of $850,000 in the case of City of Detroit v. Grinnell Corp. Remaining funds were awarded to the University of Pennsylvania Law School’s Center for Technology, Innovation and Competition (CTIC), which conducts conferences, workshops and symposia, focusing its energies on exploring the type of issues that initially arose in Grinnell litigation.